I have to confess- I am not usually a margarita on the rocks kind of gal. If you find me ordering a margarita at a restaurant, it is highly likely that it will be something fun, fruity, and very frozen... with a sugar rim. But even I have to admit that those are overly sweet and probably not worth the crazy amount of calories I am slurping down. This month's Spiked! Recipe Challenge required that I purchase and add a bottle of limoncello to my liquor stash, so I have been busy coming up with delicious mixed drinks I can use it in. 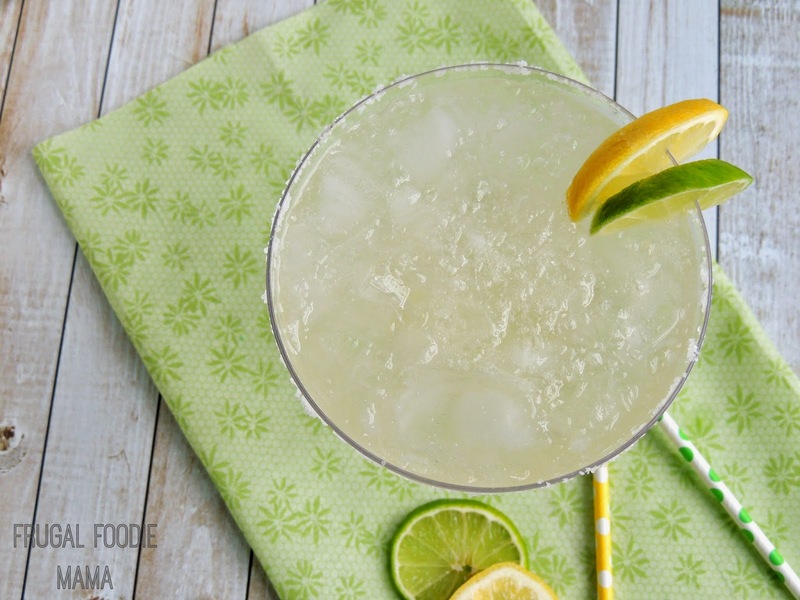 I thought it would be fun and tasty to create a lemon and lime flavored margarita on the rocks just in time for Cinco de Mayo in a few days. Add some ice to a cocktail shaker. Pour in the tequila, lime juice, and limoncello. Give it a good shake. Pour some kosher salt on a small plate. 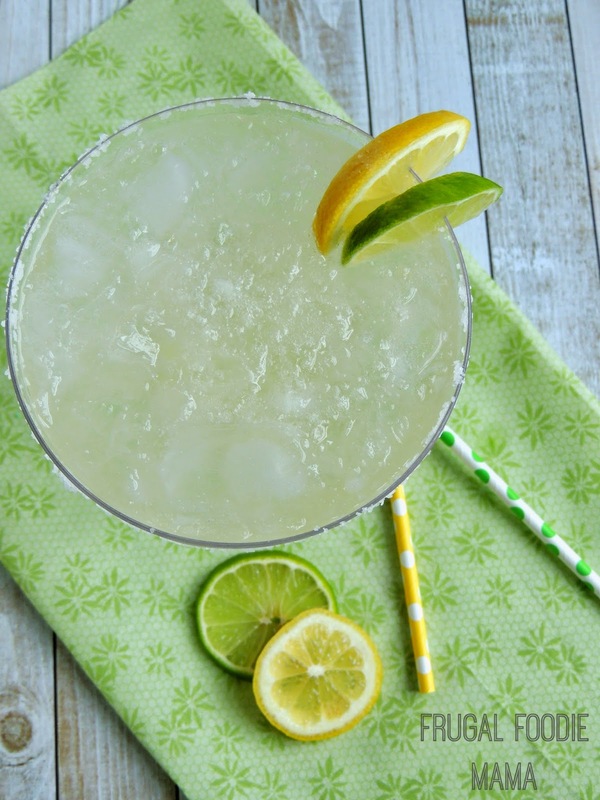 Using one of the lime halves you juiced, run it along the edge of your margarita glass. Twist the rim of the glass into the salt to get your salt rim. Fill the glass about 1/2 full with crushed ice. Pour the mixture in the cocktail shaker over the ice. Add enough of the lemon-lime seltzer water to fill the glass. Garnish with a lemon and lime wheel, if desired. 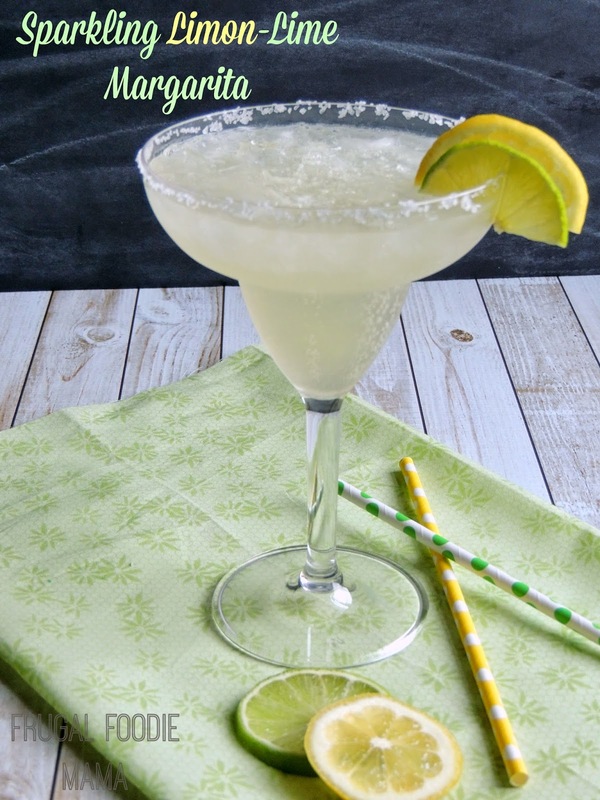 This Sparkling Limon-Lime Margarita is refreshing, with just a hint of sweetness, and the salt rim is a must. I have to advise to not skip out on the fresh lime juice with this margarita. I know it is tempting to use the stuff in the bottle, but please trust me on this- the fresh lime juice really makes this margarita. How do you usually take your margaritas? On the rocks or frozen? Salt or sugar rim?